India Infoline Finance (IIFL) is launching its first tranche of non-convertible debentures (NCD) on January 22, 2019. The issue comes close on the heels of two other NCDs of Mahindra Finance and Shriram Transport, launched earlier in January 2019. Should you invest? NCDs are fixed-income instruments that come with a fixed tenure. Typically, an NCD promises to pay interest either quarterly or annually and return back the principal on completion of tenure. The IIFL NCD comes with six plans ranging from three to 10 years. The effective yield (interest rate) offered on these instruments range from 9.60 to 10.50 percent. Each NCD is priced at Rs.1,000 and you need to buy at least 10 NCD. IIFL NCD offers higher returns than that of Mahindra Finance and Shriram Transport. For the five-year option annual interest paying option, IIFL offers 10.20 percent, as against 9.49 percent by Shriram Transport and 9.17 percent by Mahindra Finance. For the 10-year option, IIFL offers 10.50 percent on its annual interest option, as opposed to Mahindra Finance’s 9.50 percent and Shriram Transport’s 9.69 percent. 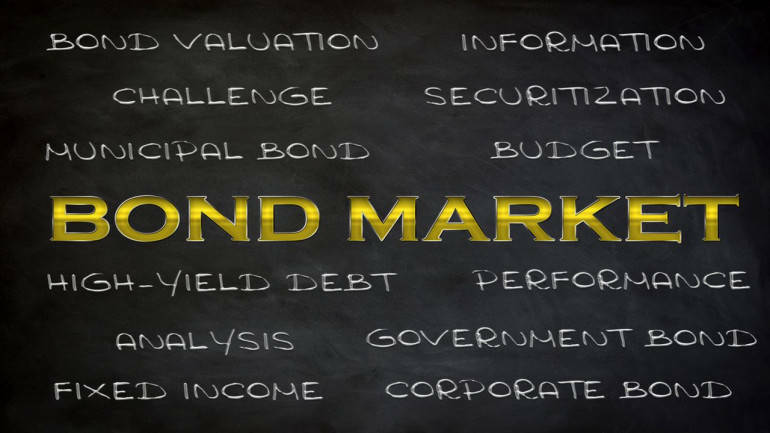 One of the reasons why IIFL has chosen to offer high-interest rates is because of its lower credit rating as compared to the other two issues that hit the markets earlier this month. Crisil — one of India’s largest rating agencies has given IIFL NCD a credit of ‘AA/Stable’ which, as per Crisil’s website, is given to instruments “considered to have high degree of safety regarding timely servicing of financial obligations. Such instruments carry very low credit risk.” Shriram NCD’s credit rating was marginally higher at ‘AA+ (Stable)’. Mahindra Finance’s NCD came with the highest credit rating of ‘AAA’. Not only does IIFL NCD offer a higher interest rate than other recent NCDs it also offers a much higher return than bank fixed deposits. According to BankBazaar.com, State Bank of India offers an interest rate of 7.03 percent for its five-year fixed deposit. IIFL NCD offers at least 3 percent points more. Will it pay timely interest? Ultimately, the biggest concern in any NCD is will it pay timely interest. The NCD’s credit rating may not be the highest, but it is reasonably high enough to instil faith that its chances of repaying timely interests are high. And although its credit rating (any credit rating of any instrument for that matter) can deteriorate in future, there have been few instances of ‘AA’ rated instruments going bust. Aside from the credit rating, there are two other important factors that need to be looked at, to reasonably ascertain its chances of paying timely interest. First, look at why the company is raising money and what is its income. IIFL is a non-banking finance company (NBFC) that is in the business of lending; much like any other para-banking sector company or NBFC that borrow money from banks and then lend to the public; both retail and institutional. IIFL does not accept deposits, but it can raise capital through NCDs. Typically, the money these NCDs raise is used for further lending and also to repay its previous borrowings. Hence, it’s important to see who it lends money to. That is because a timely recovery of its loans determines how efficiently it pays back its own borrowings, such as the NCD that is on offer. As per its Tranche I prospectus, it lent 82 percent of its loans to the retail segment and 18 percent to the institutional segment, as of March 31, 2018. “Retail is a good segment to lend money to, as they are more prompt in repaying their loans back, as compared to institutional segment,” says Ajay Manglunia, Head of Fixed Income at Edelweiss Financial Services. Its entire instructional loan book of 18 percent is money lent to real estate, including builders. This is usually a high-risk segment. “But just 18 percent of your total loans to this segment is just okay. The segment is risky but IIFL’s exposure of 18 percent is not considered high,” says a debt fund manager who requested anonymity. Secondly, look at its non-performing assets (NPA). A high NPA figure is bad news for potential lenders. Its gross NPA was 2.2 percent and net NPA is 1.0 percent as on September 30, 2018, which is considered reasonable. IIFL offers three-year, five-year and 10-year options. Avoid the 10-year option, straightway. Ten years is too long in an NCD’s lifetime, especially since the 10-year NCDs are unsecured. In case of a default, all the other ‘secured’ creditors, including the secured NCD holders will be first in line to receive dues. The three-year and five-year NCDs are secured. The 39-month option is too short-term to invest in an NCD, given the credit risk that comes with it. The five-year annual interest paying option looks the most attractive of the lot. It offers an effective yield of 10.20 percent. But before you do, consider this: All options in IIFL NCD comes with a ‘Call option’. This means that IIFL can withdraw its NCDs mid-way. Its 39-month NCD can be called back after 24 months (another reason to avoid this option), 60-month NCDs can be called back after 30 months and 120-month NCDs can be called back after 66 months. “If the interest rates go down, then the company might cancel its NCD because it can borrow again at lower interest rates. It is beneficial for the company, but not beneficial to the investor. This is because the investor will then have to re-deploy the money at lower interest rates,” says Ashish Shah, founder of Wealth First. The issue is beneficial to people in lower tax slabs. Opt to invest a small portion to the five-year NCD, if you must.